The round one LVFNL clashes between Maiden Gully YCW and Mitiamo were tonight returned to the Marist College Oval after they were moved due to the state of the ground. In a statement, Loddon Valley Football Netball League said the decision to transfer the matches back to the original venue had been made in consultation with the Maiden Gully YCW Eagles and the Mitiamo Football Netball Club executives and coaches. The league said while the change might cause some confusion, it assured the community that the surface of Marist College Oval was suitable for play. The fixture was originally moved after the oval was “deemed unsuitable”, with later clarification from the LVFNL that the presence of “abrasive” sand was a risk. The clash had been moved to John Forbes Oval at Mitiamo. 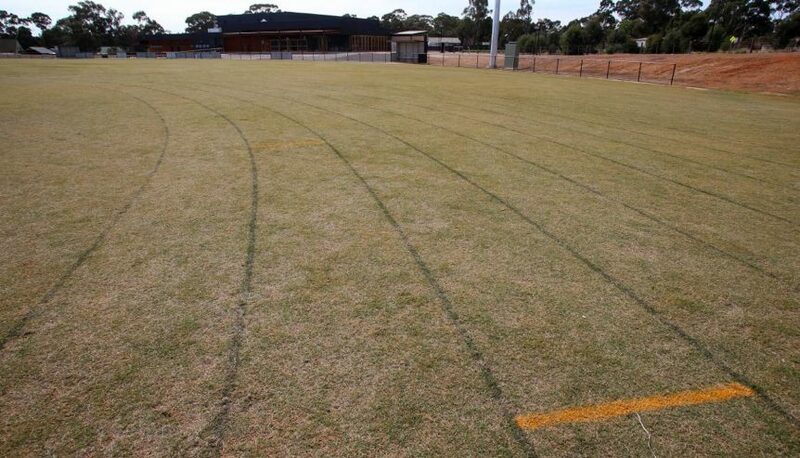 Chairman of the LVFNL, Simon Tuohey, said in the release the City of Greater Bendigo council had worked tirelessly to address the concerns with the ground surface and to ensure that the football matches could proceed on the oval. Mr Tuohey said the round one clash between the teams should provide a great spectacle for attendees. As a result of the change, the round 10 match on June 15 between Mitiamo and Maiden Gully YCW would revert to the John Forbes Oval, Mitiamo. Loddon Valley Football Netball League says the decision to move the round one match from Marist College to John Forbes Oval at Mitiamo was made in the “best interest of all involved”. LVFNL chair Simon Tuohey said the league conducted an analysis of the ground prior to the decision. “We do our due diligence to make sure the grounds are in top condition before games,” Mr Tuohey said. “My son plays football for Maiden Gully YCW and I saw the oval last Thursday night – it looks as if they have topped the oval with sand. LVNFL made the decision to change venues for the round one match on Tuesday night. As a result of the change, the round 10 match between Maiden Gully YCW and Mitiamo will be played at Marist College. “We’re looking forward to hosting games on the Marist oval in the coming rounds,” Mr Tuohey said. Marist College Bendigo’s oval won’t host an opening round football match this Saturday after it was “deemed unsuitable” by the Loddon Valley Football Netball League. But the City of Greater Bendigo – managers of the facility – said it wasn’t consulted about the decision to pull the game and had prepared the ground for the clash between Maiden Gully YCW and Mitiamo. Marist College principal Darren McGregor described the ground as being in “wonderful condition”. The LVFNL board, in a press release, said the change of venue was due to the surface of the oval being “deemed unsuitable”, but would not explain further. “The ground has an even cover of weed free couch which has recently been over sown with fine leaf rye (yet to germinate),” she said. Marist College had also been unaware of the decision to move the game ahead of time. “The first I knew of the change of venue was when I woke up this morning and read about the association moving the match because of the surface of our oval,” Mr McGregor said.